Long serving, awesome Women’s Ranger Coordinator Chantelle Murray is taking some time off the job to focus on other projects. Ngurrara Rangers and Yanunijarra wish her all the best and thank her for her amazing dedication and commitment to the job all these years. We are currently recruiting and interviewing for Chantelle’s job and will introduce the new Women’s Ranger Coordinator very soon. Good luck Chantelle and thank you! Latest pictures from the Ngurrara Rangers! 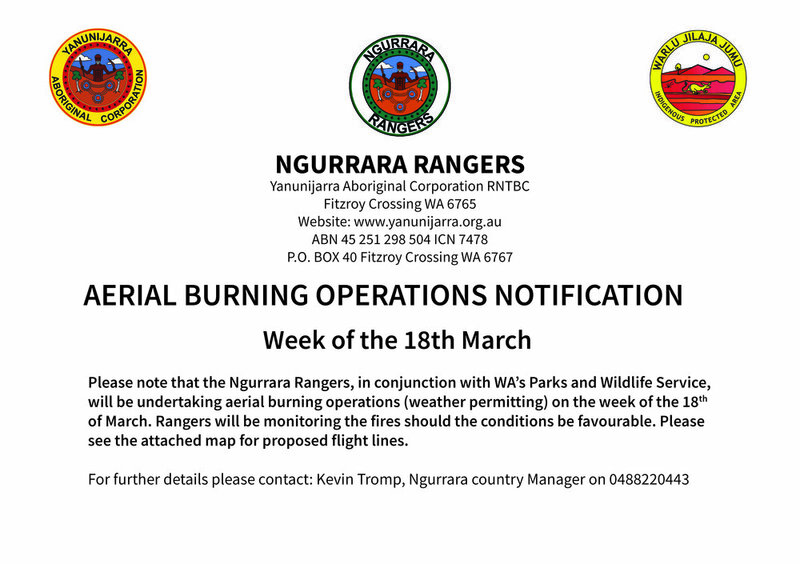 This meeting is called by Peter Murray, Chief Executive Officer, Yanunijarra Aboriginal Corporation RNTBC ICN 7478. 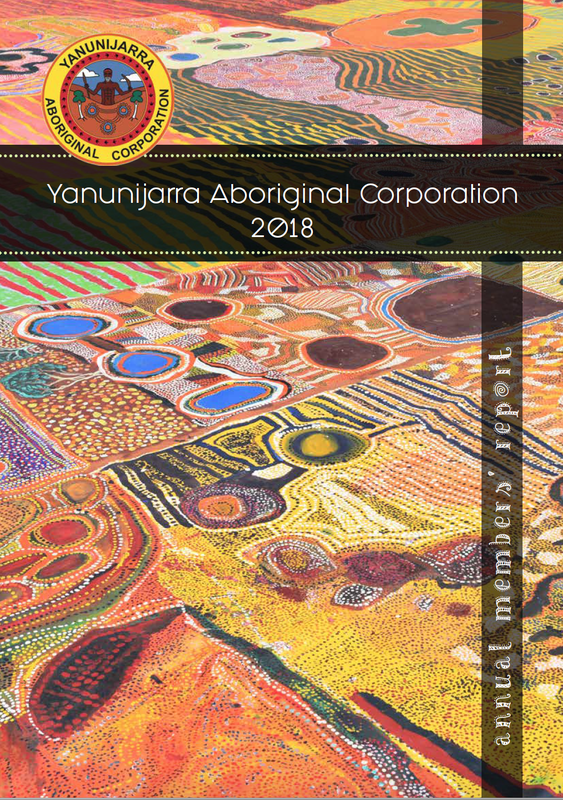 Yanunijarra Aboriginal Corporation RNTBC is convening a meeting to consult with Ngurrara and Yi-Martuwarra Ngurrara common law native title holders to discuss the KLC’s Transfer of Material Policy in relation to site material held by the Kimberly Land Council (KLC). The meeting will also discuss any policies and procedures adopted by YAC for the future purpose of managing and using site information. Who should attend: All persons who hold native title in the Ngurrara and Yi-Martuwarra Ngurrara native title determination areas. b) are acknowledged by the native title claimants in (a) as having rights and interests in the claim area through a direct relationship by birth/finding and growing up in places (“Ngurrara”) within the application area. Last year, the northern Australia Indigenous Ranger Forum was held at Gurrbalgun (Pender Bay) on Bardi country ... this year, it was hosted by the Carpentaria Land Council. Frankie and Cyril, two of our Ngurrara rangers, travelled for a total of six days to attend this important event. Our women rangers have been in Darwin over the weekend for the Darwin Aboriginal Art Fair fashion show. They were busy with the Marnin Studio selling scarves, shirts, bags and dresses - the dresses were made with native bush dyes and block printing which they did out at Djugerari community. Each dress is more than just a dress ... it contains the passion of being out on country!! Wonderful job to all the ladies involved. Our permit sales are up and tourism operators would gladly support cultural tours run by the Ngurrara rangers—these are some of the findings of a recent survey undertaken for Yanunijarra Aboriginal Corporation. Bianca Eriyagama, a secondee through the Jawun program, conducted the survey to assess the established patterns of behavior by tourists travelling the Canning Stock Route and the potential for future tourism development by YAC. Over a period of three days she surveyed 138 people. Many respondents were adamant that a minimalist approach to development should be taken. What makes the Canning a unique travel experience is its isolation, and respondents said being self-sufficient is one of the joys of the trip. But there is one thing lacking, and that’s toilets. Respondents were enthusiastic about our plans to build toilet facilities and shade at Well 46. Bianca also spoke informally with a number of tourism providers about Ngurrara-run cultural tours. The providers were excited about the possibility of giving travelers the opportunity to interact with the Ngurrara rangers and expressed a willingness to work with YAC on the development of a cultural tourism product. This survey and Bianca’s work with us, has given YAC a basis from which we can now begin to thoroughly map the concept and then implement a plan to get our tours started. We foresee the next steps will be consulting with the right family groups to determine content and employment opportunities, and offering tourism training to the rangers who’ll be involved. We’re in a unique position—once our tours are up and running, they’ll be the first Indigenous cultural tours on the Canning! Photo courtesy of the Kimberley Land Council. More than 100 people have gathered in the Great Sandy Desert of Western Australia to celebrate the 20-year anniversary of the Ngurrara Canvas II. The canvas, measuring 8m by 10m, is a vivid map of Ngurrara country, and was prepared as evidence for the Ngurrara native title claim. This is the first time the canvas has been returned to the banks of Lake Pirnini, where it was originally painted in 1997. Terry Murray, the youngest of the forty artists to work on the canvas and the head of the Ngurrara Canvas Management Committee, says it’s time to ‘Parnkimanu Ngurrara’—to awaken the canvas back out on Ngurrara country. “Now is the time to celebrate, to 'Parnkimanu Ngurrara' with the power of the Ngurarra artists that painted the canvas. We want to recognise those who are deceased, and those who are still standing. Now is the time to come together after 20 years to celebrate and awaken our unique Ngurarra canvas," Mr Murray says. During the canvas celebrations, the management committee will hold further discussions around the canvas’ future. “The celebration will give us the momentum to move forward, hand-in-hand with Yanunijarra Aboriginal Corporation, to develop a plan to look after the canvas. We would like to take the next generation and the standing elders on a journey to explore how we can celebrate the canvas’ power going forward,” Mr Murray says. The canvas illustrates the significant jila (springs) and jumu (soaks) across Ngurrara country, with the only concession to Western mapping a depiction of the Canning Stock Route. Ten years after the canvas was painted, Ngurrara were granted exclusive possession native title over approximately 77, 595 square kilometres—an area larger than Tasmania. The Parnkimanu Ngurrara event was supported by Yanunijarra Aboriginal Corporation, the registered native title body corporate established to manage the Ngurrara native title area. Karen Yungabun, Yanunijarra’s Ngurarra 2 Way Learning Officer, uses ice cream to teach kids about groundwater. She gets a clear plastic tub and fills the bottom of the tub with choc-chips—these are the rocks. Then she drenches the rocks in fizzy lemonade. The lemonade represents groundwater. On top of the groundwater goes the ice-cream, the clay. Then finally, she masks the ice cream with sprinkles. The sprinkles represent the top layer of soil. It's Karen’s aim to teach kids about water in a way that’s visual and memorable. “Water’s important for everybody, but especially for us, Ngurrara people, because our water is scarce,” Karen says. 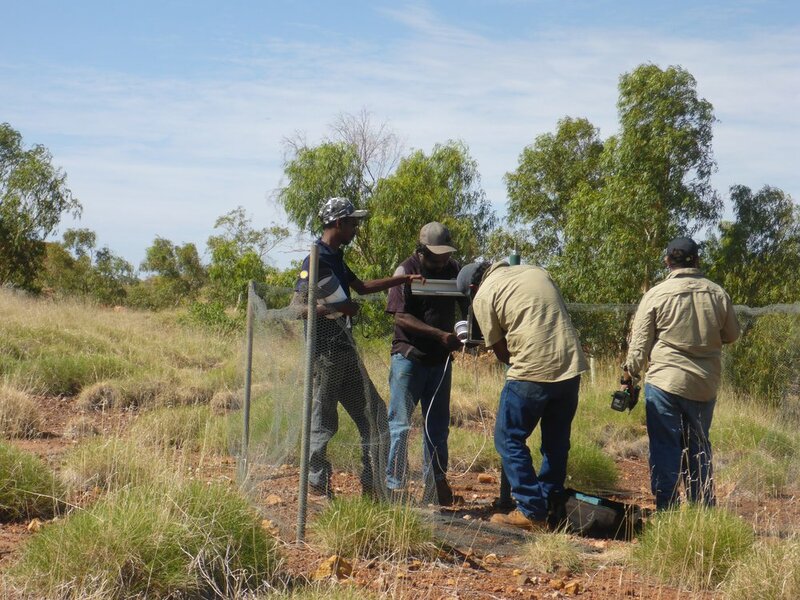 The Ngurrara 2 Way Learning project is a cultural and environmental program combining western science and traditional knowledge, and with a focus on water monitoring. It’s funded by Shell Australia, and the purpose of the project is to build the capacity, aspirations and employability skills of Ngurrara youth. 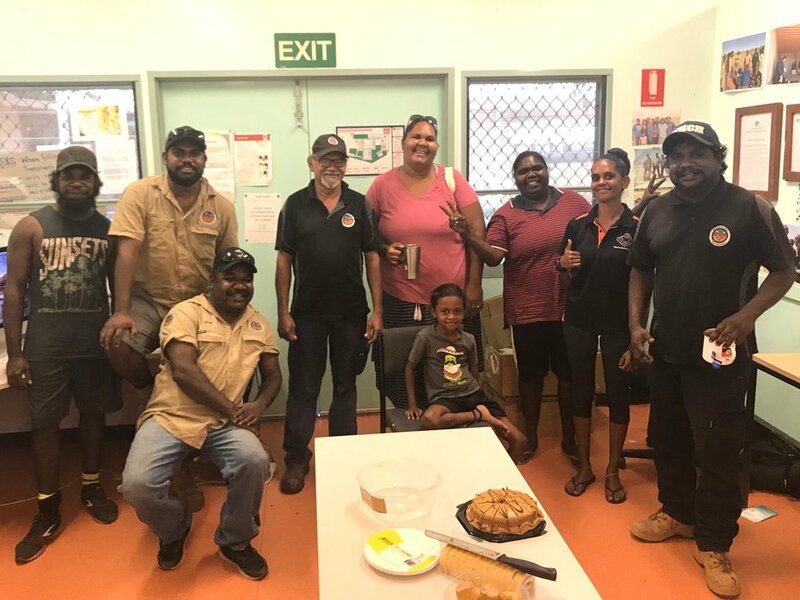 In August, the Ngurrara rangers accompanied primary-aged students from Djugerari Remote Community School and Ngalapita Remote Community School to Kurlku, Pirnini and Purluwarla, in the Great Sandy Desert. Here, the rangers ran a bush classroom, teaching the kids how to use water monitoring equipment to test the conductivity and pH levels at Lake Pirnini, and at the jila Purluwarla. “Looking after water—after ngapa—is looking after country. This project is important, because it recognises the value of Indigenous knowledge and language, and it pairs this with a western science perspective,” Karen says. The results of the tests, which included unusually high levels of salt at Purluwarla jila (where there’s an uncapped artesian bore), are consistent with the results gathered a month earlier. 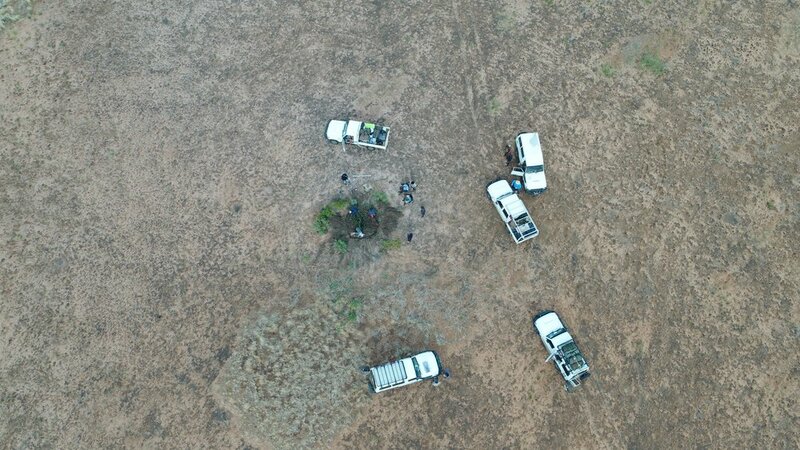 On this earlier trip, our rangers, Yanunijarra staff, and scientists from the University of Western Australia, travelled further afield, visiting three bores, three jila and one jumu. Some of the highlights included visiting the newly named ‘Frankies Bore’, which we have looked for on previous trips, but couldn’t find because of the dense vegetation; measuring bore water levels and quality; and camping out at Willi, where there’s usually plenty of bush tucker, like sand goannas, wild turkeys, echidnas and bush cats. There was also another animal that used to live in the area, but that finished a long time ago. The trip was important not just for the rangers to learn new skills, but for maintenance to be undertaken at the bores and for Ngurrara knowledge about local plants and animals to be shared. 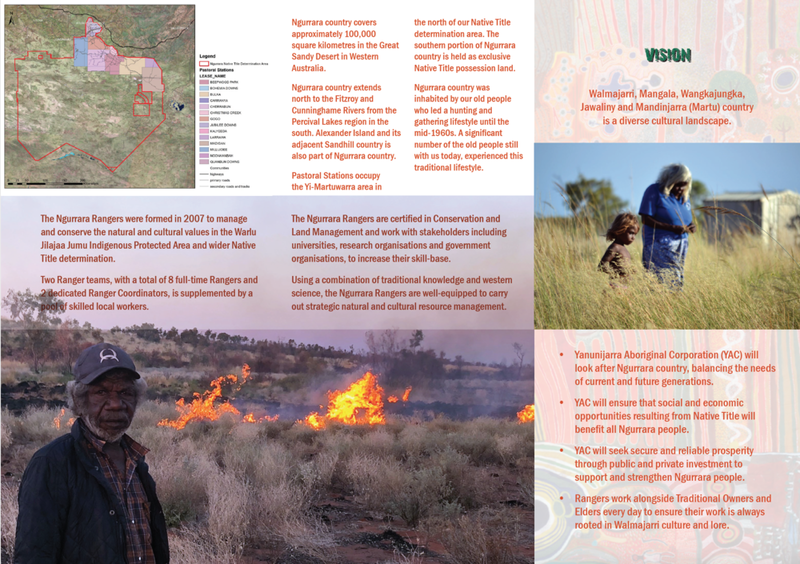 The Ngurrara 2-Way Learning Project is now in its last year of funding. It has definitely been a success, in that it’s allowed us to teach our young people about jila and jumu both through traditional stories and western science. It’s also allowed us to gather a baseline of information about our water, against which we can measure future impacts of development and climate change. There were plenty of blown tyres, damper-making sessions, and water testing last week in the Great Sandy Desert. The Ngurrara Rangers, Traditional Owners, young people and researchers from the University of Western Australia, were on a Two-Way Learning trip to check the water levels and quality at a number of our significant jilas in the desert. We identified one particularly problematic issue at Purluwarla, where evaporation at an untapped bore has made the water too saline to drink. We're discussing the best way to manage the issue at the moment. One option is to pour concrete down the bore ... but that would mean we couldn't drink from it again. Another option is to cap the bore and install a tap. In addition to water monitoring, our rangers also did some patchwork burns and weed management. Head to our photos page for more pics! We're calling for a new Ngurrara 2-Way Learning officer! The Ngurrara 2-Way Learning officer will manage and record knowledge on the Ngurrara Database, develop educational multi-media tools, and work with schools to implement the 2-Way Learning curriculum. For the full information and application kit please click here.